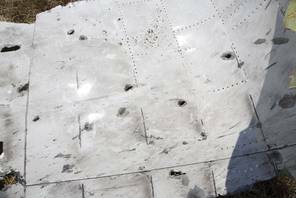 Pakalert Press » “Support MH17 Truth”: OSCE Monitors Identify “Shrapnel and Machine Gun-Like Holes” indicating Shelling. No Evidence of a Missile Attack. Shot Down by a Military Aircraft? The initial OSCE findings tend to dispel the claim that a BUK missile system brought down the plane. Evidently, inasmuch as the perforations are attributable to shelling, a shelling operation conducted from the ground could not have brought down an aircraft traveling above 30,000 feet. 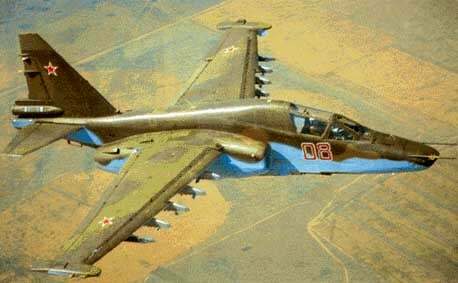 Peter Haisenko’s study is corroborated by the Russian Ministry of Defense which pointed to a Ukrainian Su-25 jet in the flight corridor of the MH17, within proximity of the plane. Ironically, the presence of a military aircraft is also confirmed by a BBC report conducted at the crash site on July 23. The original BBC Video Report published by BBC Russian Service on July 23, 2014 has since been removed from the BBC archive. In a bitter irony, The BBC is censoring its own news productions. The media has reported that a surface to air missile was indeed fired and exploded before reaching its target. It was not the missile that brought down the plane, it was the shrapnel resulting from the missile explosion (prior to reaching the plane) which punctured the plane and then led to a loss of pressure. The downed Malaysia Airlines jet in eastern Ukraine suffered an explosive loss of pressure after it was punctured by shrapnel from a missile. They say the information came from the plane’s flight data recorders, which are being analysed by British experts. However, it remains unclear who fired a missile, with pro-Russia rebels and Ukraine blaming each other. Many of the 298 people killed on board flight MH17 were from the Netherlands. Dutch investigators leading the inquiry into the crash have refused to comment on the Ukrainian claims. The shrapnel marks should be distinguished from the small entry and exit holes “most likely that of a 30 millimeter caliber projectile” fired from a military aircraft. These holes could not have been caused by a missile explosion as hinted by the MSM. While the MSN is saying that the “shrapnel like holes” can be caused by a missile (see BBC report above), the OSCE has confirmed the existence of what it describes as “machine gun like holes”, without however acknowledging that these cannot be caused by a missile. The accusations directed against Russia including the sanctions regime imposed by Washington are based on a lie. 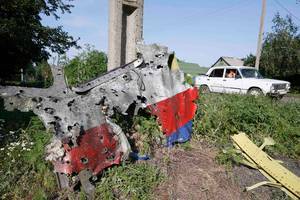 The evidence does not support the official US narrative to the effect that the MH17 was shot down by a BUK missile system operated by the DPR militia. What next? More media disinformation, more lies? I think their ‘False Flag’ is getting a bit worn around the edges! No more blood sacrifices, especially on the 100th year anniversary of World War I that destroyed so very much and so very many! No more Mordor for Moloch!